Around six years ago, I returned home late, went into my home office and played music from The Old Crow Medicine Show as loud as my Mac could handle. The up-beat tones of Methamphetamine could not compete with the several pints of Everards Original served in the local, and I all-too-promptly fell asleep at my desk, and I had a dream. I didn’t have the ready cash for a parting of the ways, so I considered a personal trainer to be the lesser of two evils. I started dragging my 15-stone frame around the local parks, accompanied by a fit, slender and very fast young man named Pete. He was as encouraging as he was fit. I was no runner at school; cross country when rugby was cancelled was hateful. But I found now, in my mid 40s, that running a few times a week got some weight off, and my times in the local 5km Parkrun began to improve. More miles, faster times and more encouragement. I was working up to a 10km race and the feeling I had when I’d finished in 52 minutes was one of great fulfillment. It wasn’t until May 2015 that I’d done enough training to run the full 26.2 miles at any kind of pace – and the experience at the Edinburgh Marathon was nothing like anything I’d had before: total body sedition at 17 miles after thinking I could run a fast time based on my best half marathon (thank you, Garmin race predictor – NOT). I limped tearfully across the finish line in Musselburgh much to the amusement of my friends, who still gently bully me about it. But three marathons on (and four stone lighter), I found myself training for the pinnacle of marathon running: The 2017 Virgin London Marathon. 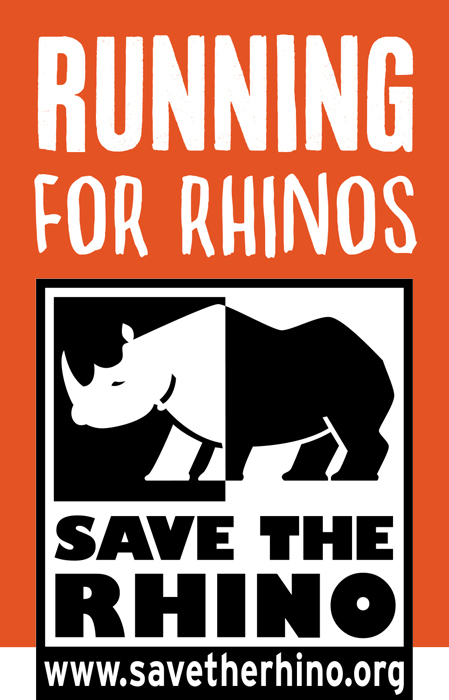 I opted to run for Save The Rhino, a charity for which I’d raised six figures as owner of the UK’s leading rifle-shooting magazine – those who know little of shooting think it ironic that this community raises large sums for conservation but substantial sums for African conservation comes from hunters. At the turn of the 19th century, there were approximately one million rhinos, but by the 1970s there were only around 70,000 and in 2017, there are only around 28,000 surviving in the wild. Numbers have dropped dramatically owing to poaching for horn (utterly useless but valued for its fabled aphrodisiacal properties). Save The Rhino is involved in a number of initiatives aimed at protecting and preserving the species, including anti-poaching measures, monitoring, environmental education, community conservation, demand reduction and captive breeding. And so, at nearly 50 years of age, I found myself in Greenwich on 23 April 2017 at 8.30am ready to go. Not for me the heavy rhino costume – I was content to let others bear that 20lb burden (thankfully there were only 10 rhino suits and I didn’t make the cut). The miles and miles of cold winter training had paid off – I set out at a nice, relaxed pace and was feeling on top of the world for 19 miles, surrounded by over 40,000 other runners. A slight twinge of cramp I tried to ignore at 20 miles, but at 21½ miles it had me. The crowd roared, urging me to go on, and I swallowed every last energy gel I had left and managed to keep going, my pain exacerbated by the observation that I was being overtaken by a guy dressed as a giant prawn. “One foot in front of the other until they give you a medal,” I kept repeating to myself. With a mile to go, every part of my body was rebelling – and then a red line appeared in the distance: the finish. Amid swearing, snarling and holding back tears, I summoned up a boost of energy to get myself to the end – and suddenly it was over, in 3 hours 34 minutes and 22 seconds. I missed my 3 hours 30 minutes target but it was my best result and together with the other rhino runners, I’d raised £100,000 – and, a giant prawn aside, my self-esteem too.